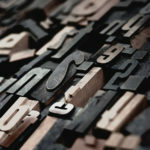 As something that’s been around for a two centuries, printing is quite susceptible to myths, rumors, and misconceptions. We all know how it goes. Someone says something. It spreads. 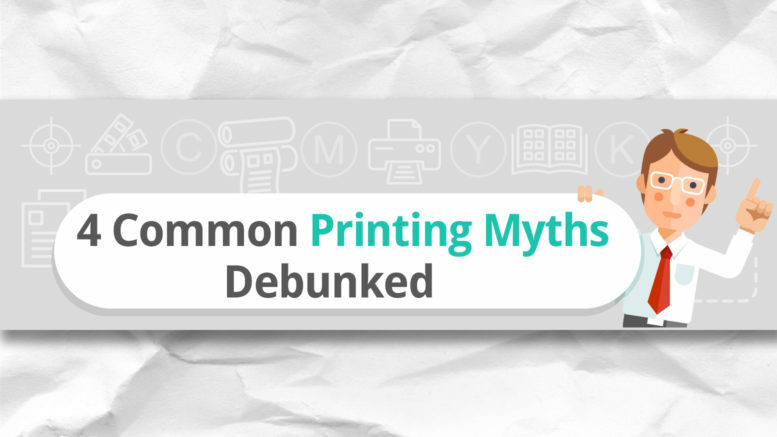 After some time, these printing myths are eventually accepted as the truth. Not everyone knows how things go in the industry, and we in the business side of printing would love to address each individual’s misunderstanding. 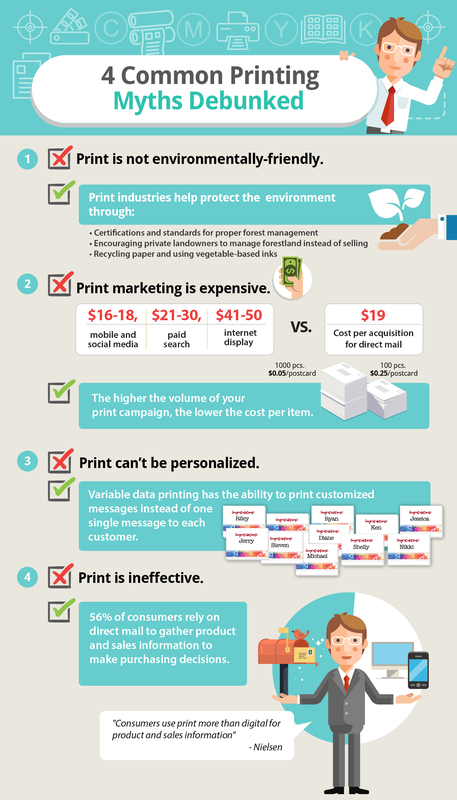 These misconceptions about printing not only damages the industry, but also leads to missed marketing opportunities. It’s about time we address these. To start, here are some of the most common printing myths debunked. 1. Print is not environmentally friendly. At a glance, saying print marketing is not eco-friendly kinda makes sense. Paper is derived from trees. We currently have issues in deforestation. We need to save the trees. Thus, we should stop cutting trees and switch to digital, since it would save the trees. However, this is is one of the most misleading printing myths for several reasons. Aside from forest management, another way the industry diminishes its effect on the environment is through recycling. Paper can be recycled up to seven times before the fibers break down. A lot of printing service providers have adopted the use of recycled paper as well as other environment-friendly practices. For instance, PrintRunner uses vegetable-based inks and regularly recycles all of our waste paper and printing plates. 2. Print marketing is expensive. Direct mail actually is actually one of the cheapest forms of marketing to set up. According to WebpageFX, the cost to set up a direct mail campaign ranges from $50 to $7200. Compare that to pay per click marketing and email marketing which costs $4000 to $10000 initially. In terms of the cost of acquiring one customer, research from the Direct Mail Association’s Response Rate Report states that direct mail is pretty competitive. Cost per acquisition for direct mail is $19, compared to mobile and social media at $16-18, paid search at $21-30, and internet display at $41-50. Another benefit of traditional print marketing is that as the volume goes up, the cost per item goes down. 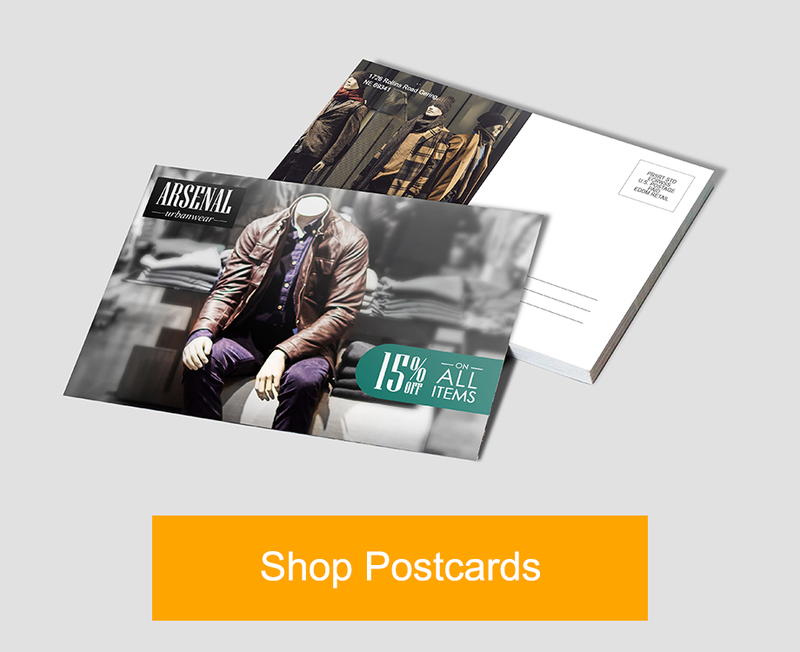 Take a look at the price for postcards. Printing 100 postcards would cost around $0.25 per postcard. If you print 1000 postcards however, the cost goes way down to $0.05 per postcard. 3. Print can’t be personalized. There seems to be an impression that for every run with the printing press, only one design can be printed. This poses a problem when you want to personalize your marketing campaigns to fit specific segments of your target market. Compare that to email, where personalizing email is easy. This impression has never been so wrong. In fact, the technology actually exists wherein you can change an element of your printout, such as names of recipient, from one piece to the next. It’s called variable data printing and it has the ability to print personalized messages instead of one single message to each customer. Internet marketing may seem dominant in the advertising industry, so a lot of people write off print as ineffective. But research says otherwise. According to research by Nielsen on the retail sector, “more than half of all U.S. shoppers still leverage print at least once a week to seek product and sales information.” 56% of consumers rely on direct mail to gather product and sales information to make purchasing decisions. The best way then to leverage the effectiveness of print marketing is to use it in an integrated marketing campaign. Check out our example on how catalogs can bring apparel shoppers online. What other printing myths do you know? Share your thoughts below.